The digital wave is crashing on the shore in today's printing industry, with more shops finding their way from traditional presses and other analog equipment to digital offerings. While some types of production haven't changed over yet – for example, glossy magazine publishing hasn't digitized due to the need for extreme image quality – the expansion of digital use cases is an ongoing trend. The printing workflow's many different elements can each be upgraded at their own pace. This further extends and complicates the question of the printing industry's digital timeline. 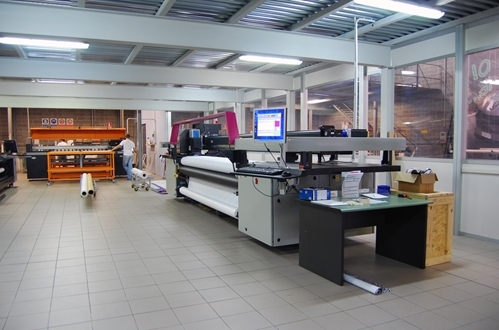 A print service provider can mix analog and digital processes to suit its own unique needs, and has many options regarding equipment selection. Finishing functions are one of the latest parts of the print process to come under the sway of digital technology. To see whether this innovation is ready for prime time, it pays to hear from companies that have begun taking the journey. Printing Impressions recently spoke with representatives of print shops that have made the jump to contemporary finishing systems to see how this change has affected their operations. Allied Printing Services CEO John Sommers, leader of one of these companies, suggested that companies thinking of following in his footsteps should be sure that they find the right digital product for their established practices before making a purchase. Changing drastically to accommodate a new piece of technology can take a print shop away from its objectives and established strengths. With that said, Sommers also praised the effects of digital finishing on his company's capabilities. Short-run print jobs with variable data, enabled by general digital processes, have become easier for the company to complete in a quick and efficient fashion. He did note, however, that when companies take on jobs that use personalized data, every step of the printing process must remain in-house – with sensitive customer data being used in the printed products, the print shop can't outsource any of the steps. Hatteras President Bill Duerr told Printing Impressions that his company has been able to use digital finishing equipment to make sure items produced on its digital printers emerge looking good. He opined that traditional finishing technology tended to treat the pieces comparatively roughly, which may have caused scuffing. Digital finishing equipment, created with a wholly digital workflow in mind, suits the inks used in inkjet printers. Due to the match of digital finishing with new printing methods, Duerr explained that companies can go about transforming their workflows "backwards," changing finishing solutions before they commit to buying new printers. When the new print hardware arrives, the rest of the workflow will be ready to produce high-quality items for customers. One of the most interesting and promising elements of the digital workflow is its ability to be changed and affected directly by individuals buying print products. Packaging Europe spoke with Xerox marketing manager Alan Clarke to discover potential future uses of digital tech tools. The interviews came during an industry gathering anticipating a major change in the years to come – while digital processes are much discussed, they don't yet represent a large percentage of the products printed every year. Clarke explained that there is the potential for hands-off customization of processes including finishing. He compared the power of modern printing to the kind of control exerted on general consumer retail websites. Products can be easily tuned to a buyer's liking today, even highly complex items such as cars. Expanding user-guided customization to the printing of items such as packages could be an exciting new capability, especially because placing the print shop in a more hands-off facilitating role saves time, effort and money. The printing workflow, when it mixes some traditional steps with others that have digitized, may be failing to reach its utmost potential. Companies that want to seize the advantages of digital printing – customizability, flexibility, low costs – may be keeping a keen eye on processes that can go online. Finishing is one such area. The tools designed to fit this role are out there, and while there's no need to rush into using them if they disrupt an established and successful workflow, their potential to deliver meaningful improvements in the near future is real and shouldn't be underestimated by potential buyers.